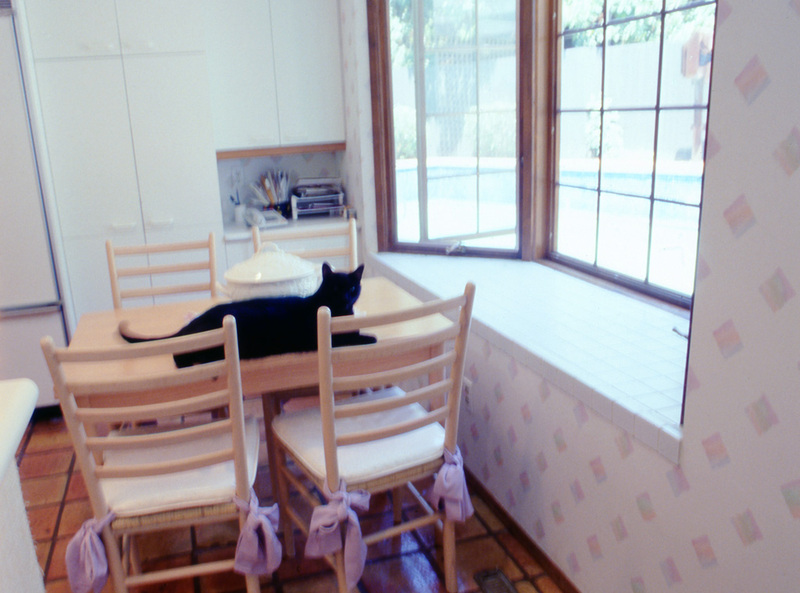 This Del Cerro home had a dark kitchen whose window faced north. With little direct sunlight, it was important to use light cabinets to brighten the room and make it feel more expansive. We enlarged the window size and added a bay window to add light and make the kitchen feel more connected to the back yard. 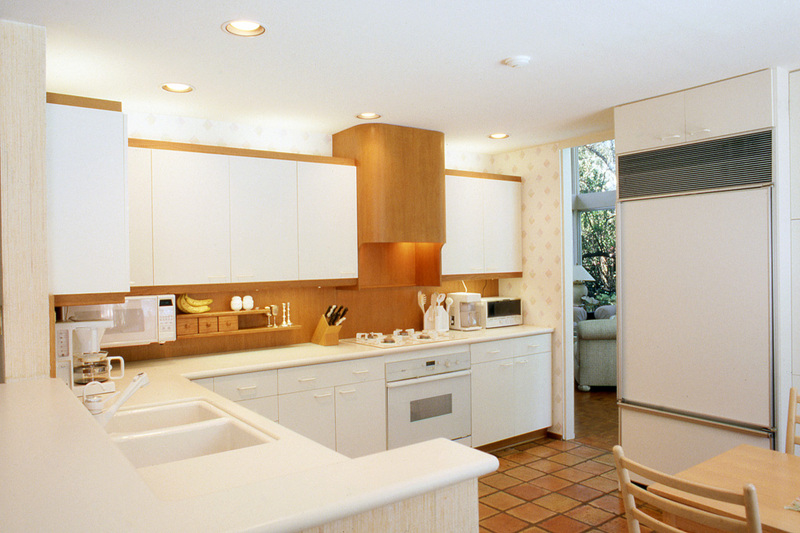 The client picked almond laminate cabinets with wood trim to soften look of the laminate. 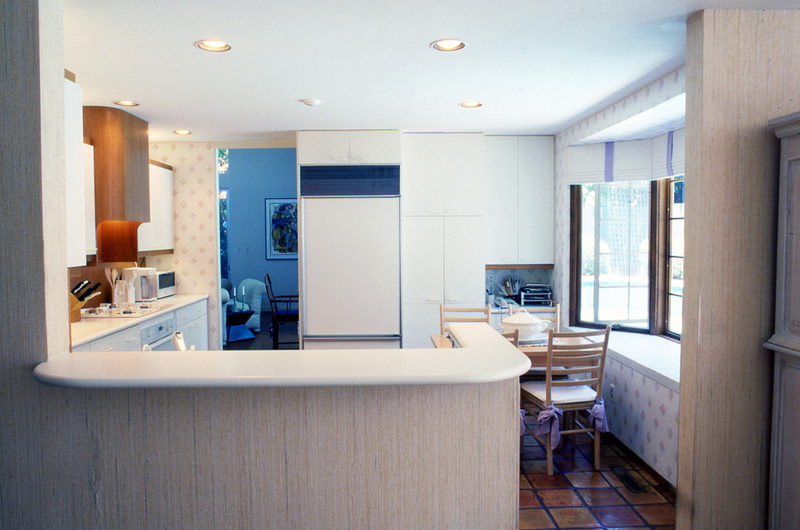 Good use of lighting was the final element that made this kitchen work.